Home android android tips and tricks app review messaging app mobile playstore tips and tricks whatsapp How to Clone and Spy on Another Person's WhatsApp Account (Messages, Pictures, Videos) Undetected. How to Clone and Spy on Another Person's WhatsApp Account (Messages, Pictures, Videos) Undetected. Unlike telegram that lets you run a single account on multiple device simultaneously, WhatsApp has always had that strict rule of one account (number) to a device at a time, which means you can't run your WhatsApp account on multiple device at a time. There is actually an app out there called Clone WhatsWeb. With this app you can clone a single WhatsApp account into more than one SmartPhone at a time. The app actually does this without causing any interference with the main app. 5. 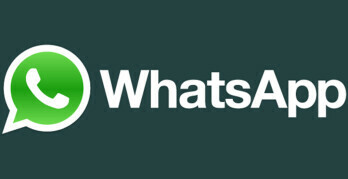 Clone WhatsWeb for whatsapp secured with your Password. 7. Easy to control your children,friend,girlfriend-boyfriends whatsapp with Clone WhatsWeb . How to Clone a WhatsApp Account. >> Download Clone WhatsWeb Here. >> Install and launch the Clone WhatsWeb App. >> On the next screen, click Yes to set password or No to skip. >> On Android: in the Chats screen > Menu > WhatsApp Web. >> On iPhone: go to Settings > WhatsApp Web. >>Scan the QR code on Clone WhatsWeb screen from your phone. All the WhatsApp conversation should load on your phone almost immediately.